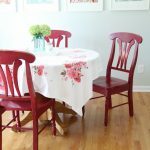 Good Interiors + Stella & Dot Giveaway! I would have never guessed it, but this space you’re seeing here was actually built as a church in 1898! Boston interior designer Lisey Good of Good Interiors worked with Steven Young Architect + Fine Homebuilder on renovating the dilapidated space. And work they did…when they got their hands on it there were no floors, only exterior walls! Now it’s four stories tall, and includes this 3,600 sq ft condo with 10 ft ceilings and so much light! I love the continuity from the pops of blue in all the rooms. If I was ever shy to paint my shelves turquoise, I’d be convinced now…it looks great here! You can read all about this interesting home and see more photos taken by Greg Premru over at Design New England! I have yet another great giveaway for you guys this week, full of turquoisey goodness! I’m sure many of you are already familiar with Stella & Dot, I’m always seeing their pieces featured in the blogosphere and magazines. I’m a huge fan of their boutique-style collections, especially their turquoise statement necklaces! (I love a great statement necklace!) The lucky winner of this week’s giveaway will get to choose one prize from the fabulous selection below, ranging in value from $34-$198! Check out all the turquoise…I love it!! 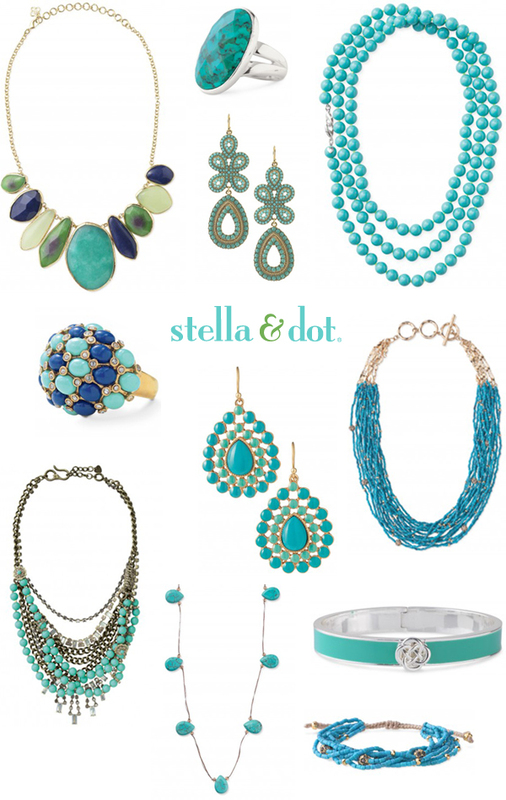 For an extra entry, Like Stella & Dot on Facebook, then leave another comment here saying that you did! Winner will be randomly selected and announced this Friday 6/15!